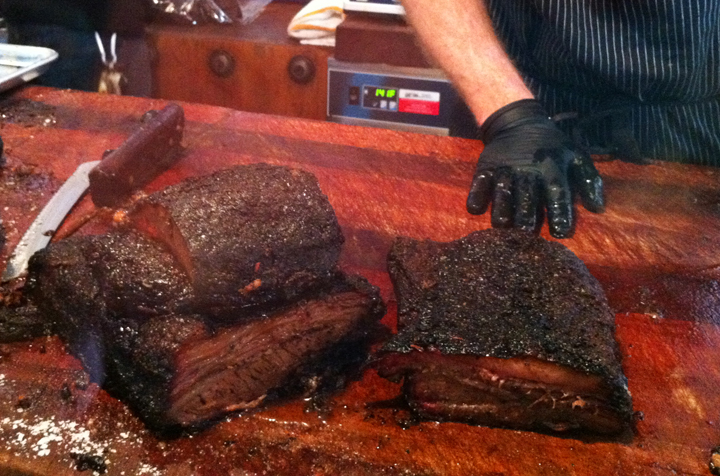 Barbecue American style is all about the rub, the smoking and to some extent the sauce, so I have never been a big fan. The wonderfully charred and simply seasoned Australian BBQ was always my preference. Once in Alabama we found an old corrugated smoke house with wooden tables and a low slung ceiling that served the most delicious ribs I had ever tasted, but the environment was most of the adventure. Then in Chicago on a photo-shoot in the meat packing district we were treated by our host’s dry-rub recipe, and that was OK. In New York there is the annual Big Apple Barbecue Block Party but again it’s the atmosphere that draws you in. 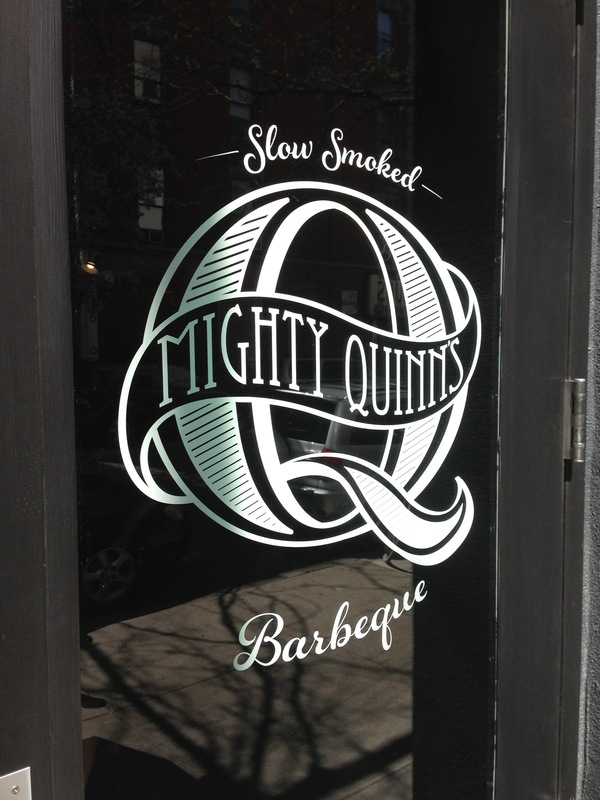 So, imagine my delight at discovering what all the fuss is about when Mighty Quinn’s Barbecue recently opened their doors in the East Village. 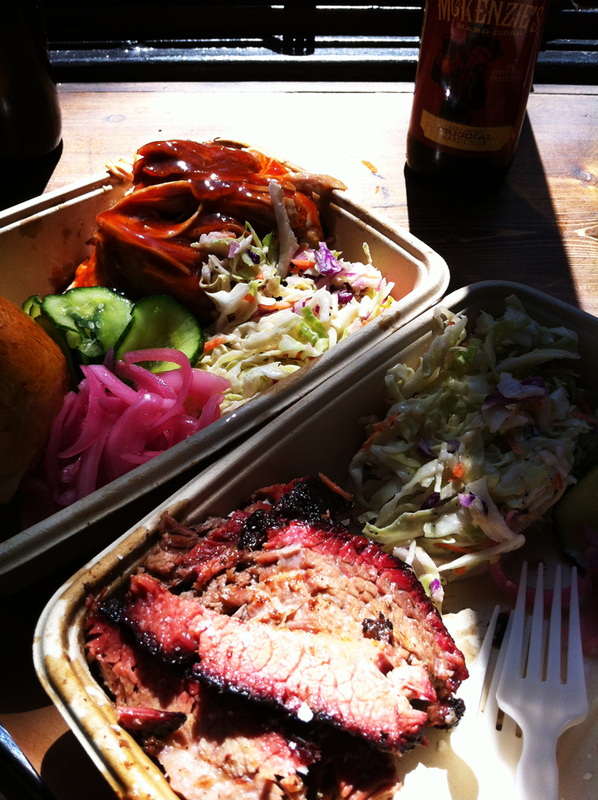 This entry was posted in Food, Uncategorized and tagged Mighty Quinn's BBQ. Bookmark the permalink. Yum, I have tried unsuccessfully to replicate delicious ribs I enjoyed in Chicago some years ago. I can smell them now!